Before I introduce you to a new incontinence product that has entered the marketplace within the past few months, I must alert you to the fact that the Tena company has redesigned most of their product packages. Tena’s redesigned packages have a new and very pleasing contemporary appearance. The packages are brighter, fresher looking and full of life. Those of you who have been buying Tena products do not have to be concerned, because, although the package looks different, what’s inside the package is identical to what you have been using. I personally think the decision to redesign the packaging was a brilliant move by Tena since it conforms nicely with their new upbeat advertising campaign. The Tena company has always been ahead of the curve when it comes to giving women a positive feeling about shopping and using incontinence products. By the way, the men’s products remain in their original packages. For the past few weeks, I’ve been covering subject matter that is more technical than practical. I’m not apologizing for that because I’m a firm believer that one should learn the basics before being exposed to the practical. I now feel comfortable about discussing practical subject matter. I’m certain that the subjects we have previously covered, such as; the blog on technical innovations of incontinence products and the blog on packaging labels will be helpful when covering practical subject matter in upcoming blogs. That being said, let’s delve into a wonderful new incontinence product that has recently been introduced by the Tena company. 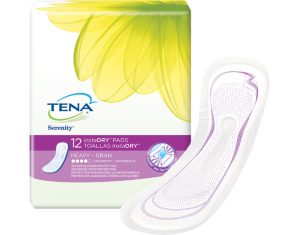 SPOTLIGHT PRODUCT: This new product is based on Tena’s InstaDRY technology, which quickly absorbs moisture and locks it away, providing you with Fearless Protection™ that you can count on. Because of this new technology, you can stop wearing larger pads and feel confident. The Tena InstaDRY™ zone is designed with dozens of tiny funnels to quickly whisk liquid deep into the pad. Your skin stays dry so you feel fresher. This new product lets you live the life you want. Because these pads use high-quality super-absorbent microbeads, they’re capable of holding many times their weight in liquid, while remaining thin and discreet. These pads are designed with a front and back, just like you, so the pad conforms to your body to comfortably stay in place. Careway Wellness Center highly recommends that you try this new product…you will be amazed! 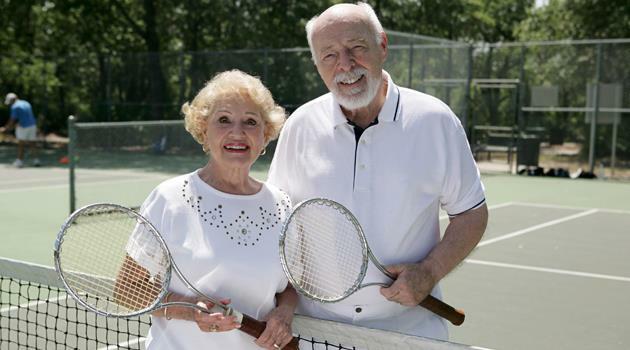 We, at Careway Wellness Center, are frequently asked why we favor the Tena line of incontinence products over other brands. Well, two of the reasons are, not only does Tena manufacture superior products, but they are also extremely sensitive to the needs and wants of those who use their products. Like the Tena company, Careway Wellness Center is also sensitive to the needs and wants of its customers, which is the reason we created the very popular Tena Club. The Tena brand has been our best selling brand of incontinence products, for the past eleven years in a row, therefore, we felt that we owed our customers some type of a bonus for their loyalty to the Tena brand. Hence, the creation of the Tena Club, which offered customers additional savings when they purchased Tena products. Our retail store customers loved the program so much that we offered it to our online customers in 2015. When members of the Tena Club purchase 9 packages of the same item, over any length of time, they get the 10th package absolutely FREE. Careway automatically tracks your purchases, and when they reach 9 packages of the same item, adds the 10th package to your order at no charge. That adds up to even more savings since the entire Tena line of products is always on sale when you buy online. Therefore, when you’re a member of the Tena Club, your savings on Tena products are increased even more. View the video below to see how simple it is to join the Tena Club. If you use Tena products, and have not yet joined Careway’s Tena Club, we invite you to join when you make your next purchase online. Joining the Tena Club is extremely simple and it’s absolutely FREE to join. Start saving even more… just remember to join at checkout. Play the above video again if you are not sure about the process.